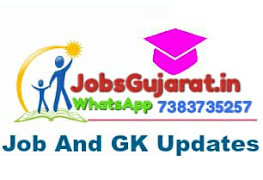 Lok sabha Recruitment 2018- Ex-cadre Post Of welfare Officer : Lok sabha Recruitment 2018 has published a recruitment notification for the recruitment of welfare Officer . The candidates who have Master degree can apply for the post of Research Fellow on or before 9th July 2018. The notification has published on loksabha.nic.in . 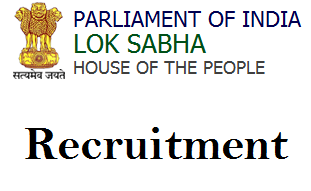 Lok sabha Recruitment 2018 : Applications are invited from eligible Indian citizens for 01 UR vacancy for the ex-cadre post of Welfare Officer (Group 'A' Gazetted) in the pay band of Rs. 15600-39100 (PB-3) + Grade Pay Rs. 5400 (Pre-revised) [a level 10 post in the Pay Matrix] (provisional) to be filled up on Direct Recruitment basis in Lok Sabha Secretariat. Preference will be given to persons possessing Bachelor's degree in Law having good communication skill. 2. UPPER AGE LIMIT : 40 years [as on 09.07.2018]. The last date for receipt of applications is 09.07.2018.